Barcelona’s housing market has certainly had its ups and downs lately. In the country where the bursting of a housing bubble led to a crippling financial crisis, now it is the rental market that is sparking social discontent. Worst hit are the biggest cities, where rent prices have spiked to unprecedented levels. 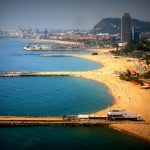 At the top of the price list we find Barcelona, where rent prices are believed to have risen by up to 16.5% in 2016. Spain is unlike many other European countries where higher percentages of the population are happy to rent. The economic downturn and pressure on wages has changed all of that with more people forced into the rental market. We have been working very hard here at Locabarcelona to help our international and local clients find the right deal for their rental property. Key to this is our local knowledge and ability to often source off market deals or go the extra mile and find something special for our clients that perhaps they might not have considered before. Be clear about your top priorities before beginning your search and speak to a trusted advisor at the earliest time!